The Ford Fiesta ST offers drivers pure undadulterated thrills. 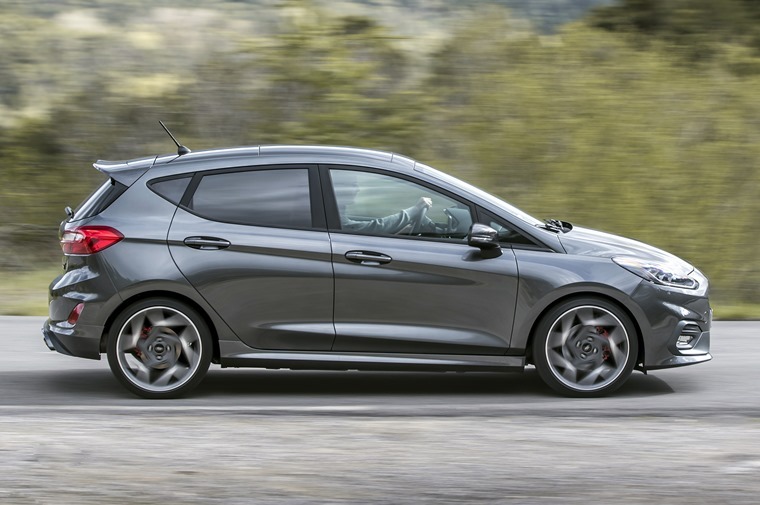 Other cars are cheaper, some are more powerful, but the Fiesta ST strikes a perfect balance. If we gave stars to cars, five just wouldn’t be enough. The sun was just rising over the horizon in France when I was handed the keys to a car. Thanks to something of an emergency, I had to make rather swift progress across the countryside to get to the airport. How I wished at that moment that there was something waiting outside with a powerful V6 and north of 400bhp. In reality I’d got a compact hatchback with a 1.5-litre petrol engine under the bonnet. It was the seventh generation Fiesta, but with an ST badge glued to the tailgate. That means there was 197bhp under the control of my right foot which, in a relatively lightweight car, translates to a pleasingly rapid 0-62mph dash of 6.5 seconds. The speedometer will swing all the way to 144mph but obviously I’d never do that, even though the gendarmerie were still tucked up in bed. But it is easy enough to access all of that power, the revs rising incredibly quickly and reacting near instantaneously to throttle inputs. Gear changes come quickly, the lever being quick, precise and easy to shift between ratios. There’s the odd pop and bang from the exhaust, but it’s a little muffled. However, there’s artificial engine sounds pumped into the cabin to make it feel more soulful and quicker. 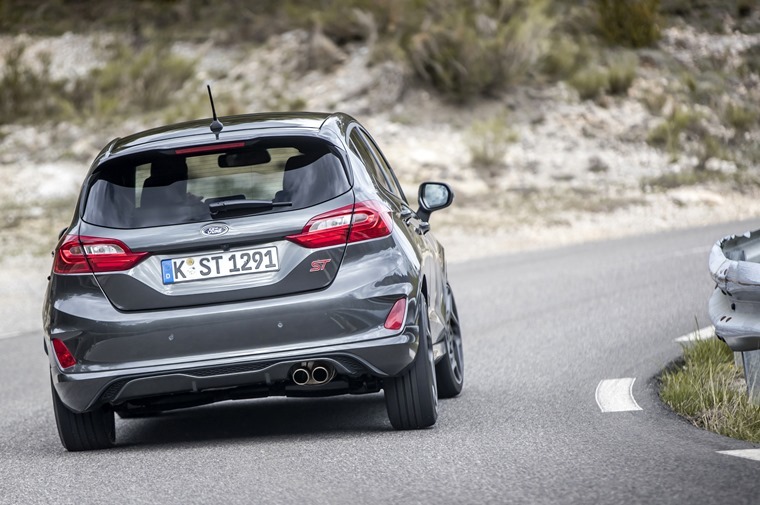 These systems often fall short of expectations but Ford has got this one spot on, the sound complementing the three-cylinder burble of the 1.5-litre engine. Bringing the speed back under control is eased with 278mm vented disc brakes that retard the wheels ferociously. Scrub off the speed, turn the corner, then power away, climbing through the revs and gears once again. However, it’s what happens on the corner that makes the Fiesta ST.
Reapply throttle then and it positively rockets out of the turn. It provides endless fun. Switch the car to Sport mode and something spectacular happens. The car encourages you to approach each bend harder and harder, yet always does exactly what it is that you’ve requested of it. The suspension is stiff, but there’s enough movement to inform you almost telepathically just how much grip is available and from which corner of the car. The rear suspension transmits what it’s doing directly to the base of the driver’s seat. Never has a car of this nature been quite so communicative, while also being quite so capable. Make your way through the corner, revel in the grip, then add more power and something interesting happens. Rather than understeering, the front end of the car tightens and it finds more grip. It’s the optional Performance Pack differential shuffling power around to whatever wheel has the most grip, allowing you to simply bury the throttle into the floor and let the car sort the rest out. Lift off half way through and the rear end of the ST will gently swing wide until it’s in a straight line pointing towards the inside of the corner. Reapply throttle then and it positively rockets out of the turn. It provides endless fun. Forget the driving dynamics for one moment, if that’s possible, and you’ll find the ST is as Fiesta as it’s ever been. There’s an excellent cabin that’s class leading in design, and that’s improved by some glorious leather-covered Recaro seats. 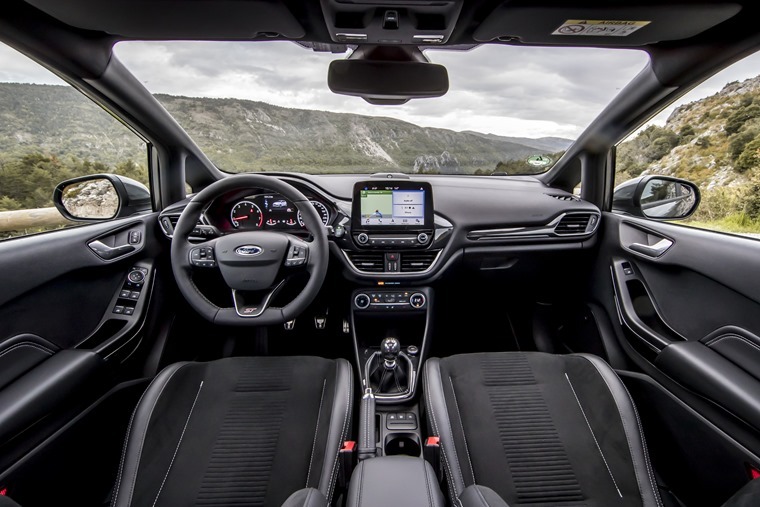 Space is reasonably plentiful and the boot is a decent size, if not class-leading, while a load of technology is installed which is all accessible through an 8in infotainment screen. It’ll hold its value quite well, and there will undoubtedly be some very appealing lease deals available meaning you can have a lot of fun for a minimal outlay. 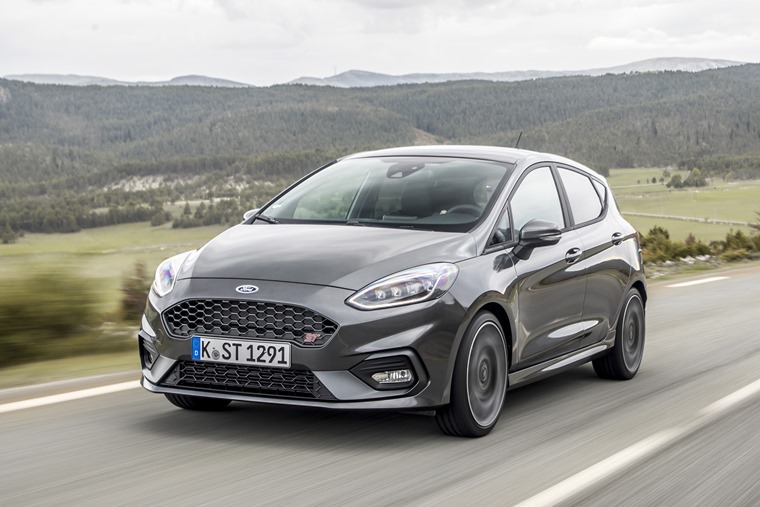 For the ST, the Fiesta’s three-door body shell returns, although there is a more practical and heavier five-door version too. There are also three trim levels, with the ST 1 spec falling a little short on expected luxuries, but balancing that with an entry price of just under £19,000. It’s best to spend a little more though and move up to the ST 2 or even 3, which come with those Recaro seats and larger alloy wheels. For those two parts alone, it’s probably worth the extra few pounds a month and, while you’re at it, specify that Performance Pack with its trick differential. Frankly, whatever this car costs, you will not regret it so splash out on the extras too. As I approached the airport, ready to jump onto the first flight to London, I realised that the 400bhp V6 I wanted wasn’t necessary. There’s no way I can see any other car covering the distance on public roads any quicker than the Fiesta ST did. And I’m certain that no other would provide quite as engaging and entertaining an experience as this humble hot hatch. 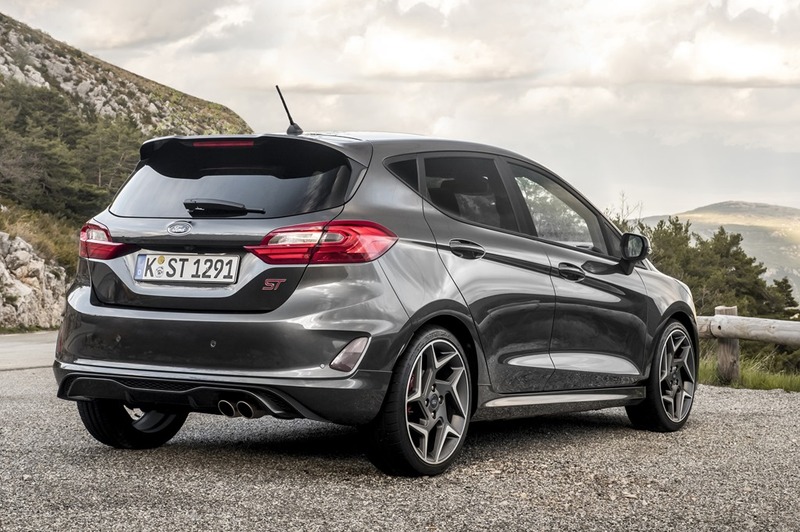 Other cars are cheaper, some are more powerful, but the Fiesta ST strikes a perfect balance between all the opposing compromises that must be made in a car. If we gave stars to cars, five just wouldn’t be enough. From the outside, a standard Ford Fiesta available in three or five-door. Space is reasonably plentiful and the boot is a decent size, if not class-leading, while a load of technology is installed which is all accessible through an eight-inch infotainment screen. Nothing is as engaging and entertaining an experience as this humble hot hatch. The revs rise incredibly quickly and react near instantaneously to throttle inputs. Comfortable up-front, and the biggest Fiesta to date. It’s as big as a small hatchback should be. 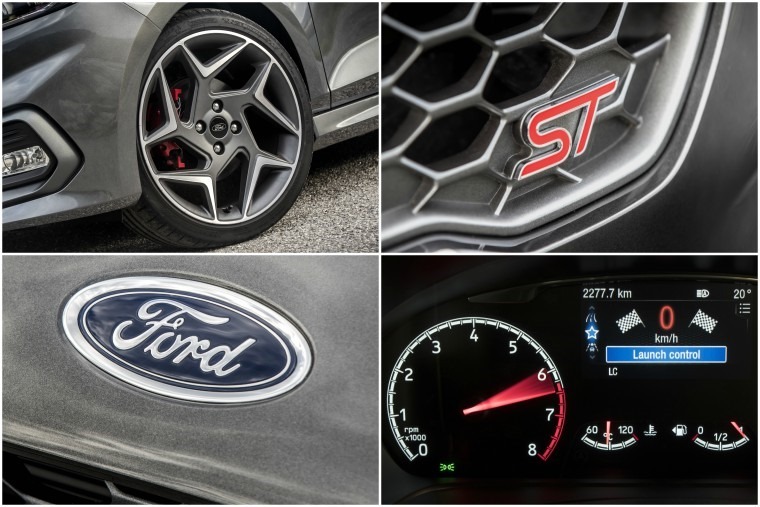 The ST's engine is among the more fuel efficient in the hot hatch category, with Ford claiming 47 mpg.